Dr. Brett Zak, who grew up locally in Orlando, is a general, restorative, and cosmetic dentist who received both his Bachelor of Science (B.S.) degree in Business Management and his Doctor of Dental Medicine (D.M.D.) degree from the University of Florida. Dr. Zak then chose to further his dental education and has developed a niche in esthetics and full mouth rehabilitation by enrolling in the prestigious Scottsdale Institute for Advanced Dentistry in Arizona, The Pankey Institute in Miami, and the Dawson Academy in St Petersburg. Since joining the practice in 2006, Dr. Zak has taken a very active role in local dentistry. He sits on the Dental Society of Greater Orlando’s Board of Directors, serving as President in 2017, after having held the positions of Membership Chairman and Editor for the quarterly Dental Society newsletter. Dr. Zak also holds a Board of Directors position with the University of Florida College of Dentistry’s Alumni Association, where he also served as president in 2017. Also in 2017, he was awarded the Most Outstanding Young Alumnus Award from the University of Florida. He is currently an active member of the American Dental Association and Florida Dental Association, where he served as chairman of the New Dentist Committee and the Florida Academy of Dental Practice Administration. In the community, Dr. Zak lends his time as a committee chairman for Florida Citrus Sports and serves as an executive board member for the Howard Phillips Center’s Community Leadership Council, an organization that raises awareness for and fights against local child abuse. Dr. Zak is also an active volunteer for the Dental Care Access Foundation (DCAF), the Downtown Dental Research Clinic, and with the Give Kids a Smile program, each of which provides needed dental care for those who would not be able to obtain it otherwise. Dr. Zak appears regularly as the dental contributor on Fox 35’s “Good Day Orlando.” In 2008, Dr. Zak appeared in Cosmopolitan Magazine as the Most Eligible Bachelor in the state of Florida, and he subsequently appeared on Good Morning America, XL106.7, and Mix 105.1. Much has changed since then as he married his wife Gena in 2011 and welcomed their daughter Anabelle in 2012, son Brooks in 2015, and youngest child Sadie Rose in 2017. 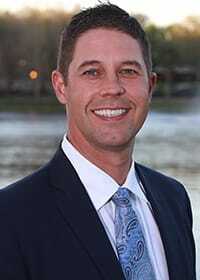 As an Orlando native and Bishop Moore High School graduate, he enjoys golfing, scuba diving, recreational softball and basketball, New Symerna Beach, and most importantly, making the short trip to Gainesville for Gator football!